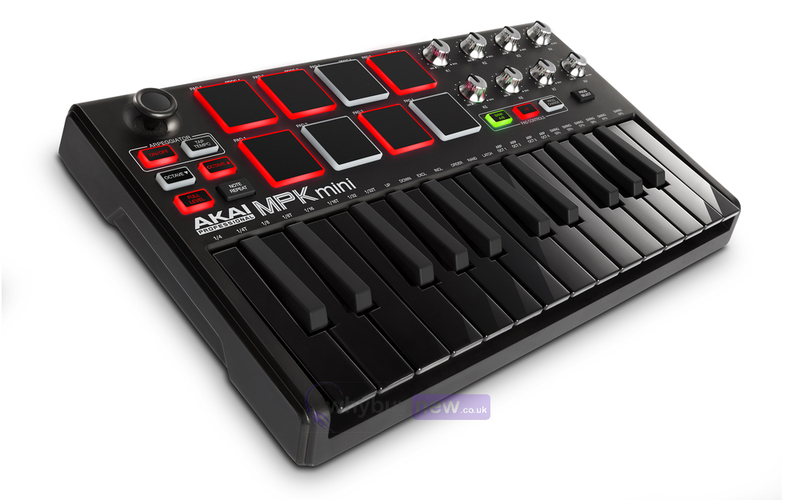 The Akai Professional MPK Mini LE Black is a limited edition all black 25-key portable keyboard controller. It comes with a fantastic software bundle (worth over £150!) that includes Hyrbid 3, SONiVOX Wobble and MPC Essentials. Hybrid 3 and SONiVOX Wobble are both synthesizers while MPC Essentials gives you 1GB of sounds! 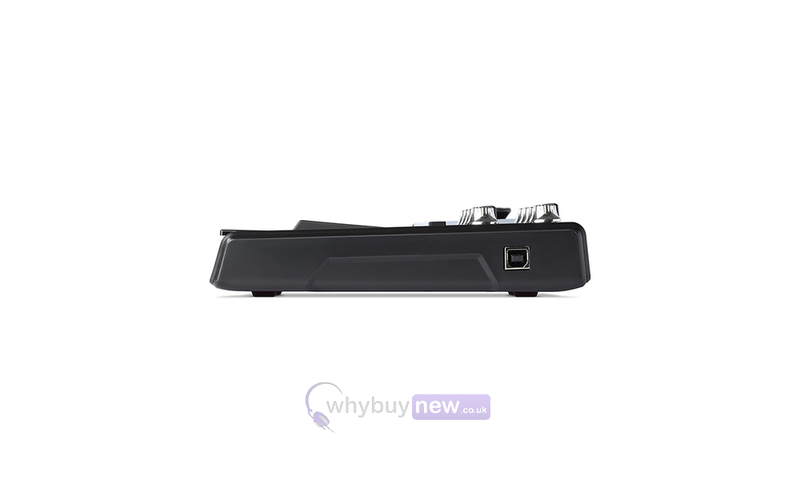 The fantastic design of the keyboard controller means it has everything you could possibly want such as a 4-way thumb stick, 8 MPC style pads and 8 Q-link knobs. Go mobile without losing control. 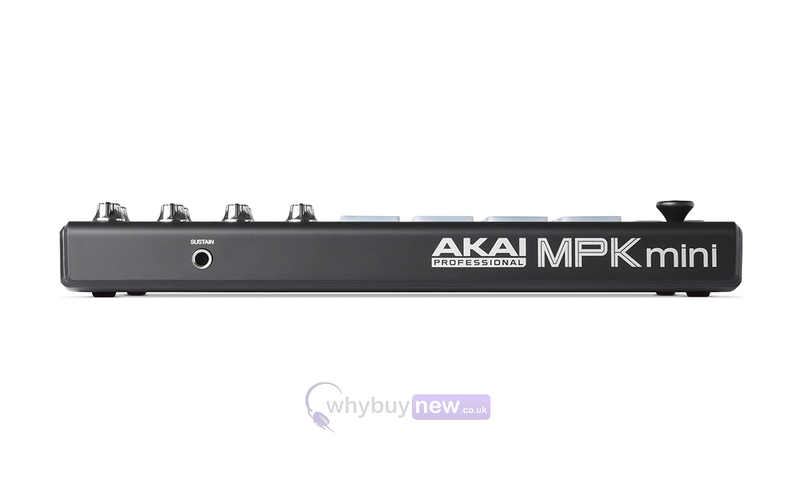 Akai Professionals limited edition MPK Mini MKII LE Black is an ultracompact keyboard controller designed for the travelling musician and the desktop producer, now available in a striking white and black finish. 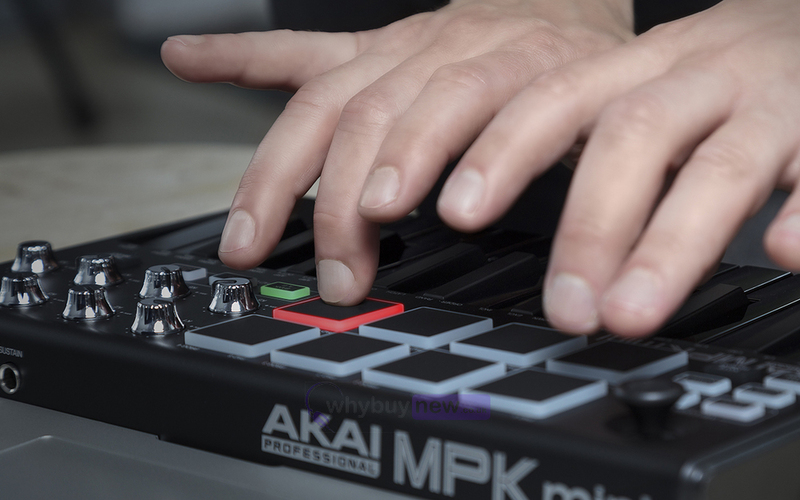 With a cluster of production-centric in-demand hardware controls coupled with a slim-line ultra-portable footprint, MPK Mini MKII LE Black lets you record, compose and perform with virtual instruments, effect plugins and DAWs whenever inspiration strikes. 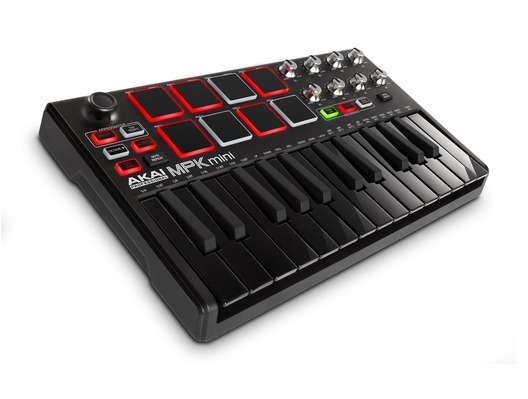 MPK Mini MKII LE Black includes all the essential tools for quickly laying down and expanding upon your musical ideas. 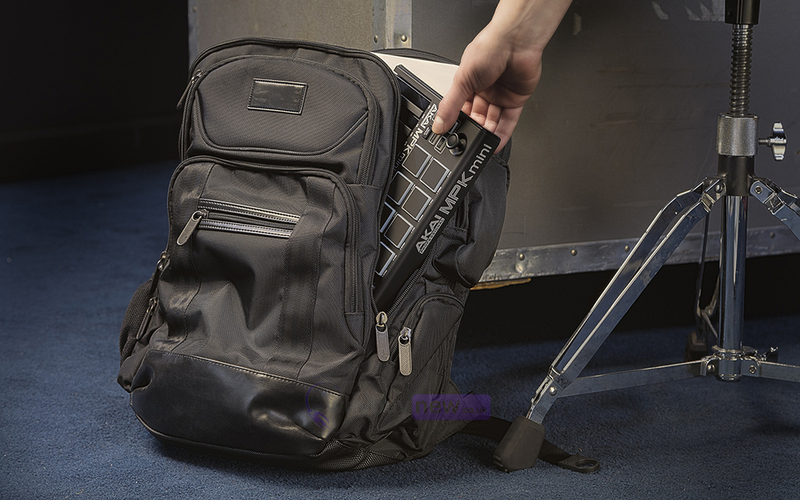 25 velocity-sensitive synth-action keys, a 4-way thumbstick for dynamic pitch & modulation manipulation, 8 backlit velocity-sensitive MPC-style pads and 8 assignable Q-Link knobs provide the core functionality specifically engineered for rapid production potential, all housed in an ultra-portable footprint. 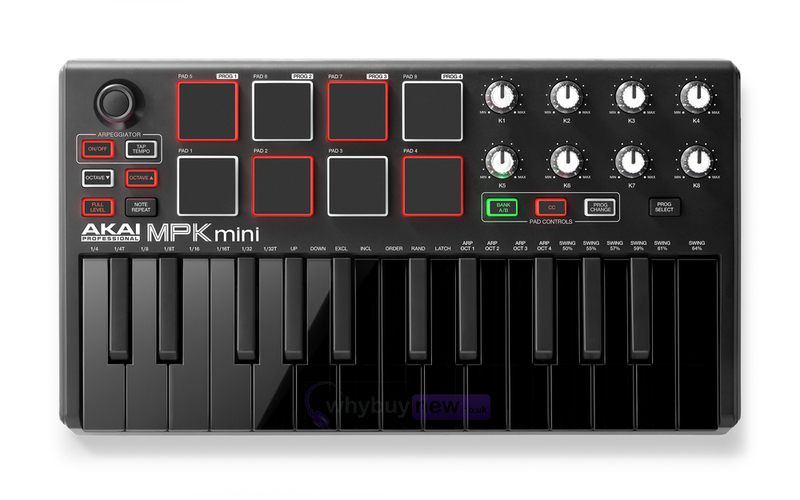 Whatever your needs, MPK Mini MKII LE Black empowers producers with essential control thats ready to capture the idea in your head whenever inspiration strikes; dedicated Octave Up and Down buttons increase the keyboard to the full melodic range ideal for playing basslines, chords, melodies and more; a conveniently located sustain pedal input provides expanded control for expressive, immersive performances; finally, an onboard arpeggiator with adjustable resolution, range, and modes for simple, user-friendly and rapid creation of intricate melodic lines. 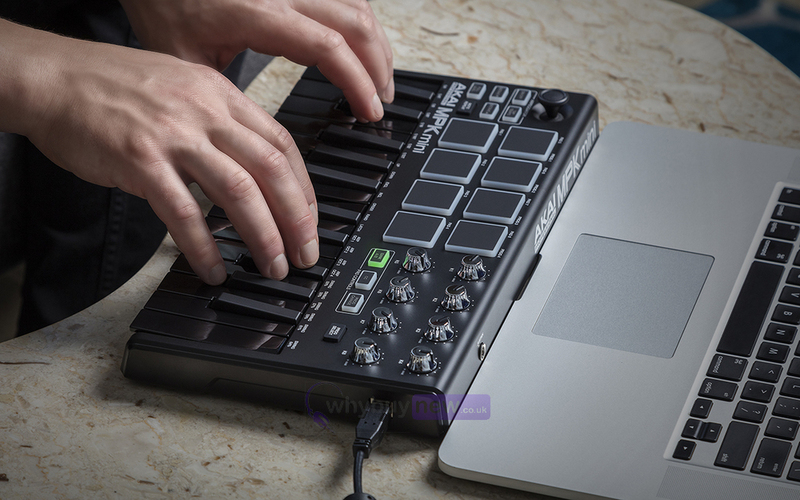 For maximum portability, MPK Mini MKII LE Black requires no software drivers or external power adapter for operation. 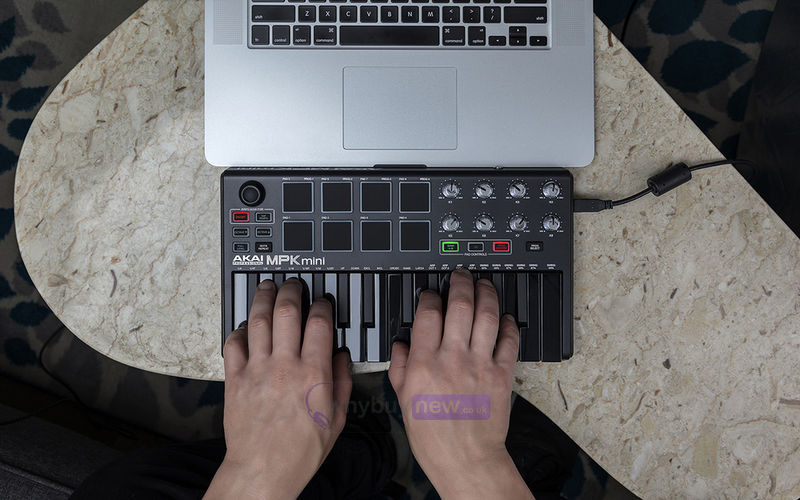 Combining plug-and-play connectivity, a seamless USB-MIDI connection and power via a single USB connection to your Mac or PC, MPK Mini MKII LE Black is a portable production powerhouse. Plus, for instant-recall of critical settings, four memory banks enable you to store hardware/software presets for rapid setup of your computer and MPK Mini MKII LE Black on the fly. Hybrid 3, by AIR Music Technology, is a critically acclaimed high definition synthesizer that can create anything from fat, retro synth sounds to edgy modern leads and everything in between. SONiVOXs Wobble is an electronic music grime synthesizer that features two independent channels of spectral morphing synthesis with harmonic controls, individual filtering and discrete LFO controls. With MPC Essentials, charge your production with a powerful 64- bit music production package featuring up to eight pad banks (for a total of 128 tracks), a 1 GB sound library and user-friendly import capability for your own WAV and AIFF samples.